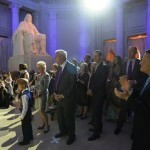 A week long series of celebratory events surrounding the pavilion’s grand opening; included a press reveal, a gala dinner, a members-only event, and a reception for special business partners. 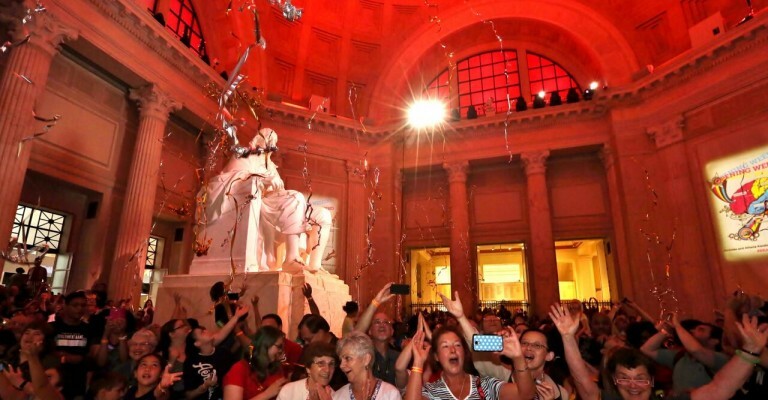 Challenge: Create a weeklong series of celebratory events that highlight the newest addition to the Franklin Institute and engage a variety of supporters, each in a different and unique way. 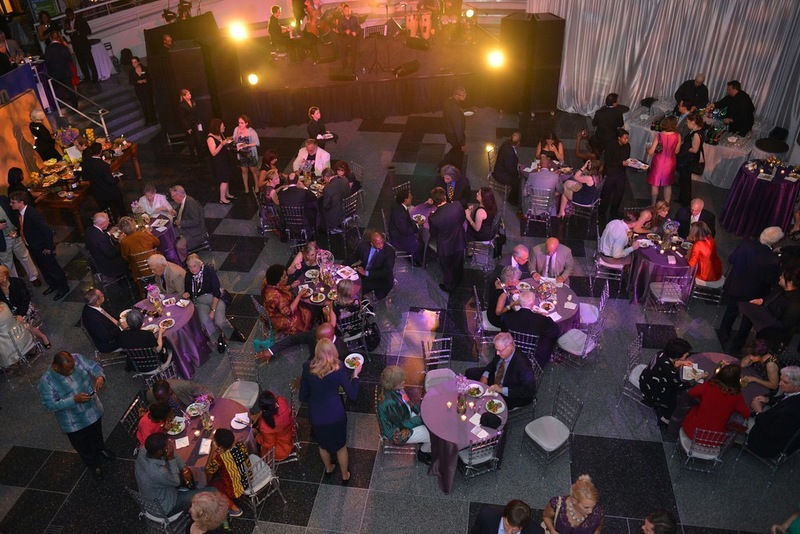 Solution: An opening gala kick-started the week of celebration. 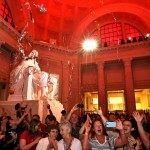 Living statues of famous scientists greeted and educated guests upon entry. 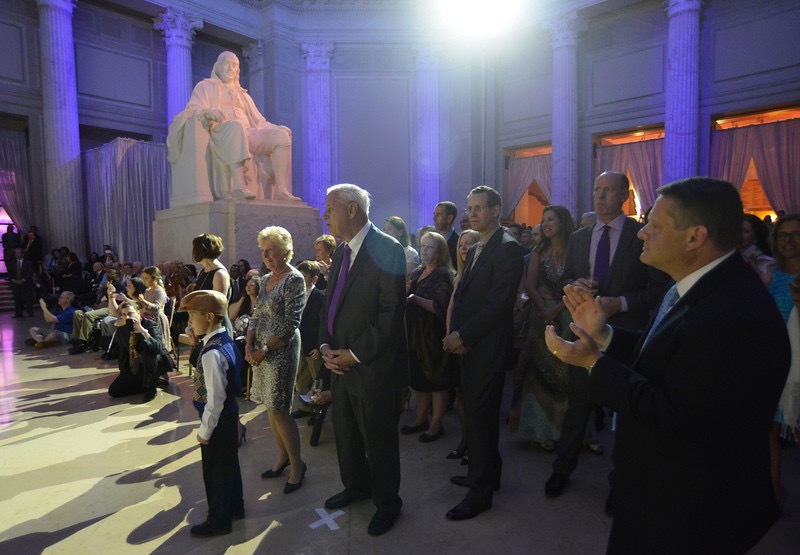 Once all guests had arrived, the lights dimmed for the screening of a short film showcasing the evolution of The Franklin Institute throughout history. The film featured a dramatic unveiling that matched the video’s pace and timing. After the film, a series of short speeches were given. 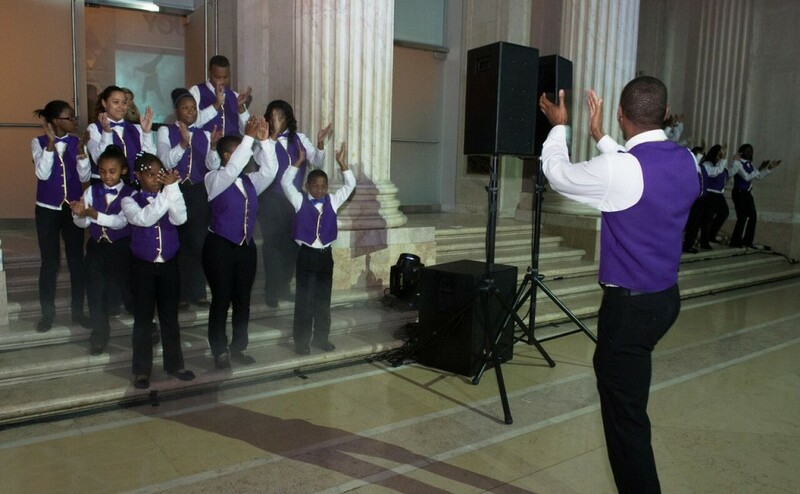 Following the speeches, performances by local Philadelphia entertainment carried on late into the night. 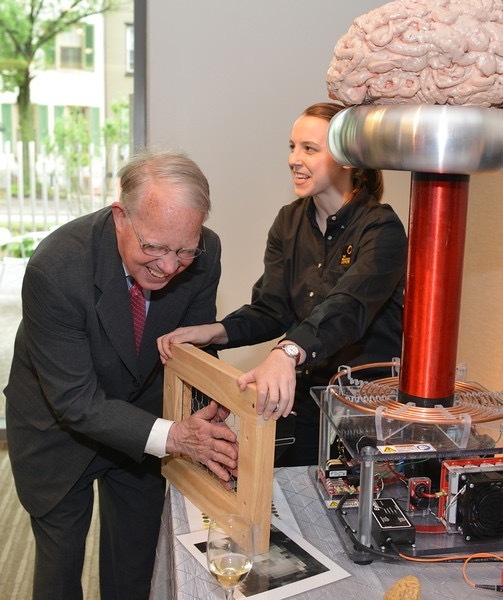 The following evening loyal members of The Franklin Institute were invited for an interactive tour of the new exhibit “Your Brain”, featuring special guest and mentalist, Max Major! 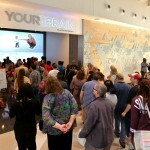 Following the tour guests gathered for a reception where they socialized, ate, and enjoyed live musical entertainment! 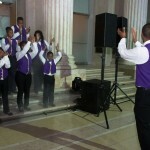 An event dedicated to special business partners took place on the following night. Guests entered through the outdoor gardens where they were greeted by mystical living trees. The partners gathered in the main hall to watch the showing of the opening film. 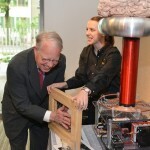 When the doors opened in time with the video, guests could begin to tour the facilities and the exhibit. The highlight of the night was performances by an electric violin duet staged against the backdrop of a stunning LED light show! The next morning crowds of locals and tourists alike lined the block awaiting the grand opening of the Karabots pavilion. 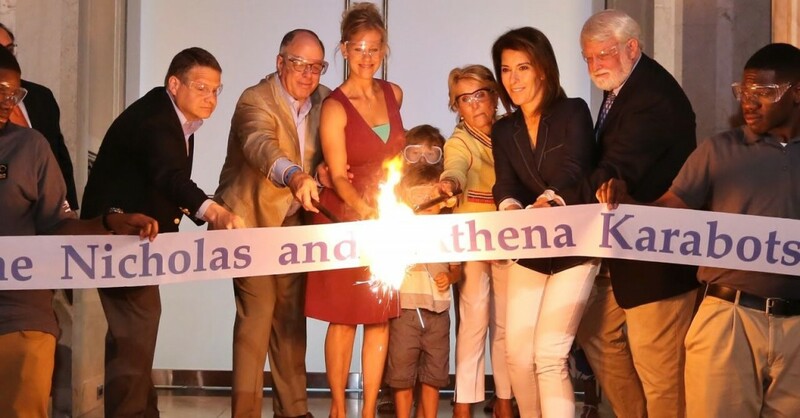 This event kicked off with a few short speeches, which were followed by a unique take on ribbon cutting involving the use of massive sparklers. 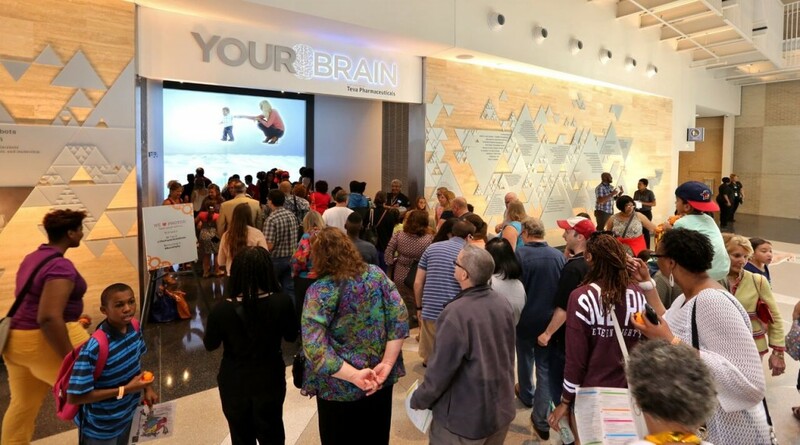 As the ribbon fell to the sides, confetti fell and small brain shaped stress balls exploded from cannons into the sky, and guests filed through the doors into both the “Science of the Circus” exhibit complete with custom drapery and soft seating, and the “Your Brain” exhibit. "I'm already looking for another opportunity to work with Stockton & Partners!" 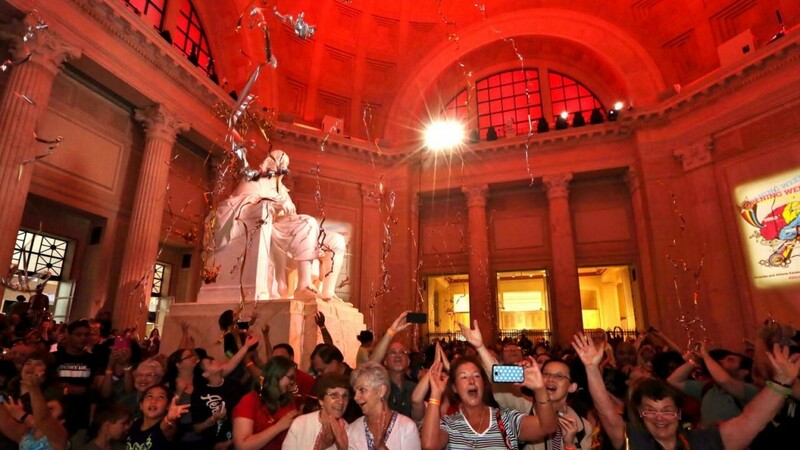 The Franklin Institute is one of America’s most celebrated museums. 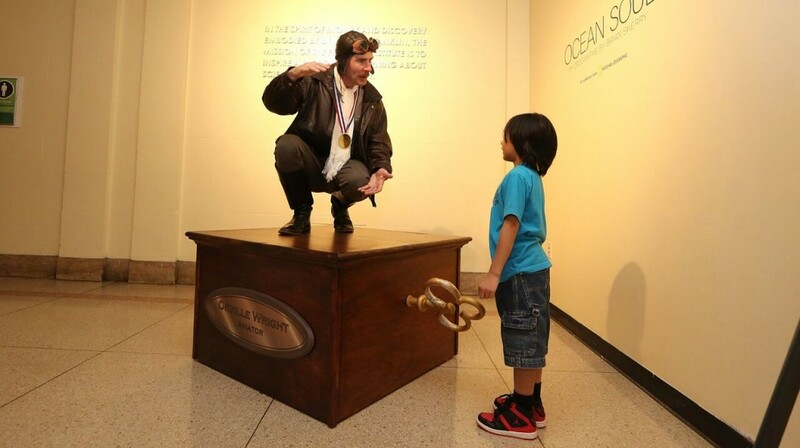 The center of science education and research in Philadelphia, named in honor of the noted American scientist Benjamin Franklin, this family-friendly science museum features a planetarium as well as a myriad of interactive exhibits. 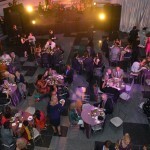 This museum also doubles as a popular and unique event space.